Today: A nostalgic, summertime cake to bring out the kid in you. I am a last-minute baker -- a procrasti-baker. As such, I am most likely going to make the least complicated sorts of desserts and baked goods. On the occasions I have my act together, I like to make cakes -- and even then, I want them to fit my schedule. 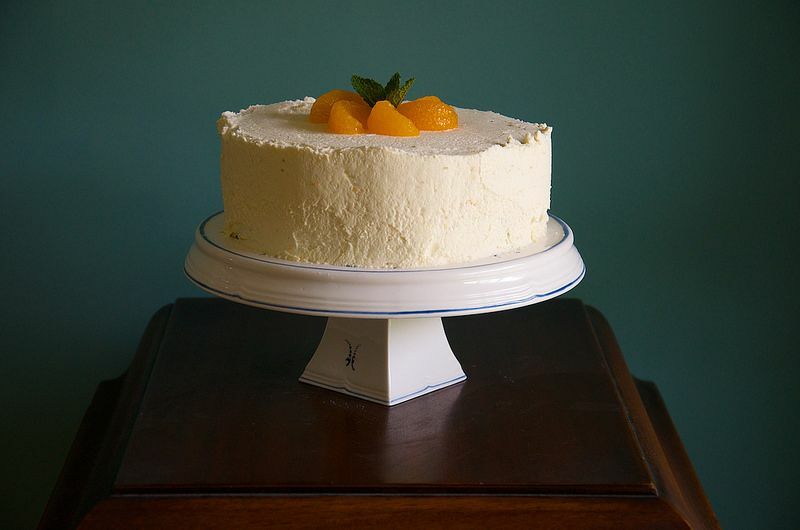 At one point, I believe, Mandarin Orange Cake -- also known as "Dream Cake" or "Pig Pickin’ Cake" -- was made from scratch. 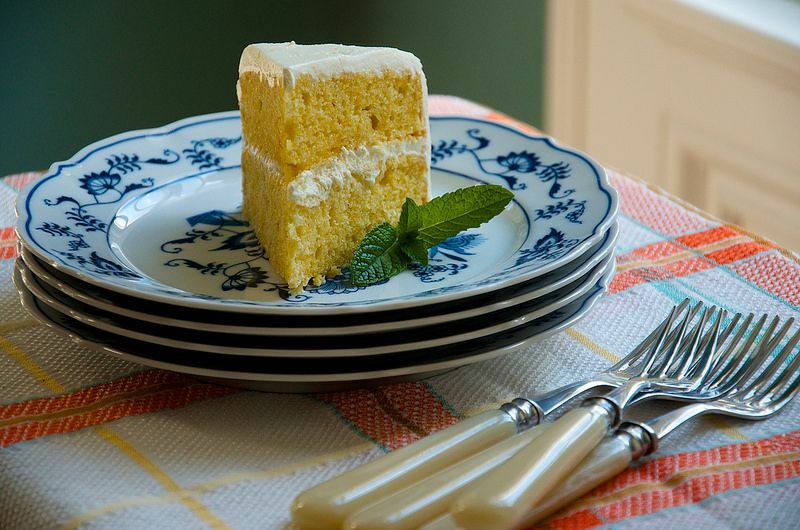 Whether it began its culinary life as a from-scratch cake, or it's been a prepared box-cake-Cool-Whip creation all its life, is unknown to me; but these days, it's usually made with mostly processed ingredients. Most of its charm is deeply rooted in the fact that this cake is not for special occasions. It's a summer cake, a cake to make at the lake house, or cabin, or eaten while sitting in wet swimsuits while wrapped in beach towels. More: While you're at it, treat yourself to one of these simple, anytime desserts. It is the kind of cake that lets your children know you think about them while they are away. It makes your heart feel good to have one on the counter when they walk through the mudroom door. When their eyes light up and a smile crosses their faces, it makes the effort worth it. Make this cake in the morning, after the kids have gone to school or outside to play. 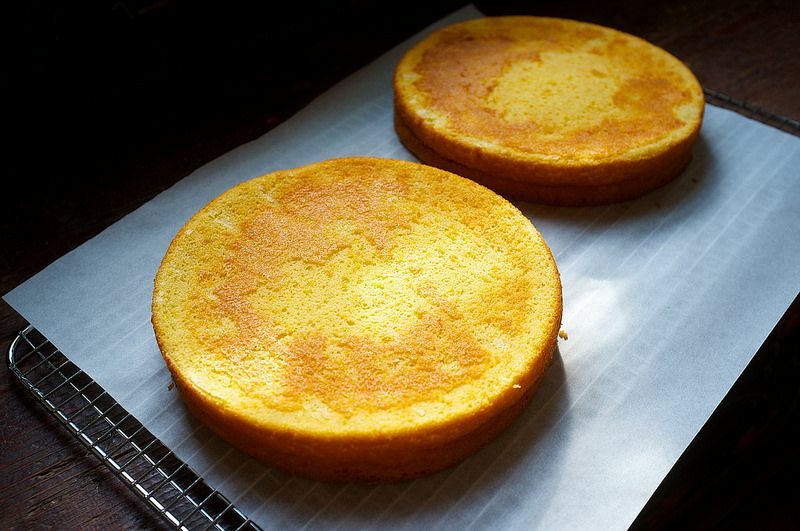 As you might expect, most variations call for a yellow cake mix out of the box. Normally, I would make the cake from scratch, weighing out the sugar and flour and measuring out the leavening. But this time, I went the box route, because I wanted to make the cake gluten-free. I wanted a standardized recipe that would be convenient for everyone, without all the different flours and starches that gluten-free baking usually requires. So I chose to use Bob's Red Mill Vanilla Cake Mix. It's been tested, the ingredients list is straightforward, and it makes a great cake. Besides, who didn't grow up on boxed cake mix? After I chose my cake mix, I still had more battles to pick. All the recipes I have seen call for Cool Whip, which I didn't want to use; but I didn't draw the prepared foods line here, either. Whipped cream icings need to be stabilized to prevent them from weeping -- and for me, Dr. Oetker’s Organic Instant Vanilla Pudding Mix is a tried and true way to do this. There are other ways to stabilize whipped cream, such as plain gelatin or the marshmallow method, but I went with vanilla pudding mix for flavor and the little bit of sugar it adds to the frosting. More: Another tick to making whipped cream more resilient? Folding in some crème fraîche. However you choose to make this cake, make this cake. Put it into your repertoire, tweak it, make it yours, and streamline it however you see fit. You will be glad you did. It's a kid’s cake; let it bring out the kid in you. What's is wrong with mayonnaise people? It adds a certain something that all the replacements mentioned just does not. I'd like to try this. Before you even mentioned the gluten-free mix, I was hoping the use of one would work (I can't eat wheat) - and then, to my delight, you mentioned it! Wondering how sour cream might work as a replacement for the mayo. It is what I always use as a sub (I don't think mayo has ever crossed the threshold at our house), but I know tweaking baked goods is different. Lori the mayo replaces the oil and while sour cream adds fat it doesn't do quite the same thing. If you usually add sourcream do you add oil too? Well, when I sub sour cream, it is usually in things like broccoli salad, potato salad, etc. In those types of dishes, I don't notice the need for an oil. I do realize, though, that matters are completely different when it comes to baking. Maybe add in a little grape seed oil? I usually have it on hand and it shouldn't add an off flavor. I usually replace the oil with apple sauce. That cake is absolutely fantastic! I love it and can't wait to try the recipe!